In the wake of E3 2018, Lenovo has revealed an overhaul to its Legion brand of gaming PC hardware, including brand new laptops and desktops. These new pieces of hardware drop the extreme gamer aesthetic in favor of something more widely palatable. Starting with Lenovo’s new gaming laptops – the Legion Y530 (pictured above), Y730 and Y7000 – the firm has dropped the red LEDs on the lid in favor of a solid white LED on a simpler lid logo. Like many others, Lenovo also pushed the hinge upward about an inch to improve cooling and make port management easier, as almost all ports now are in the rear of these laptops’ bases. The first mentioned laptops, the Y530 and Y730, are 15-and- 17-inch laptops, respectively (there’s a 15-inch Y730 as well), and both include full number pads on their Lenovo AccuType keyboards. Of course, being more focused on the mainstream PC gaming audience, these laptops start with 8th-generation Intel Core i5 H-series processors (up to i7) and are locked into Nvidia GTX 1050 (up to GTX 1050 Ti) graphics options powering 1080p displays with 60Hz (up to 144Hz) refresh rates. Storage for both options starts at 128GB (up to 512GB) for SSDs and 1TB (up to 2TB) for hard drives. 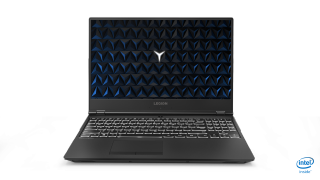 The Lenovo Legion Y530 will start at $929 (about £699, AU$1,219) when it lands in the US later this month, while the 15-inch and 17-inch Legion Y730 models will start at $1,179 (about £879, AU$1,549) and $1,249 (about £939, AU$1,639), respectively, when they arrive stateside this September. Now, the Legion Y7000 takes the whole concept and levels it up, with a far more luxury build using aluminum materials and offering the same level of performance as the Legion Y530. This version will begin the pricing at $959 (about £719, AU$1,259) when it launches this August. Lenovo also announced two new types of Legion desktops, the Legion T530 and T730 towers as well as the Legion C530 and C730 cube systems. With this new line, Lenovo leaned a bit more into the gamer look and feel, but maintains a streamlined build. Both systems include sturdy handles for easier transport to friends’ houses or local tournaments, and feature tool-less entry and upgrading for various components. This latter feature alone lends itself to more accessible PC gaming. Optional RGB lighting – on a glass top panel for the C-series and glass side panels for the T-series – allow interested gamers to boost that PC gamer look and feel. Also, both chassis are optimized for cooling with massive vents on their faces that pull cool air through and push hot air out of their back panels. The two of these machines are available with up to 8th-gen Intel Core i7 processors and up to Nvidia GTX 1060 graphics options, though both machines are overclock-ready. Plus, both systems offer basic configurations with just red LED lighting and more advanced models with that optional RGB lighting. Both of these desktops start the bidding at $829 (about £619, AU$1,089) in the US when they land this August. Now, let's see how quickly we see these machines feature in the next big esports tournament.